Tony Romo won his first American Century Championship title. The former Dallas Cowboys quarterback held off ex-Cardinals pitcher Mark Mulder to win the celebrity tournament at Lake Tahoe, which wrapped up Sunday. 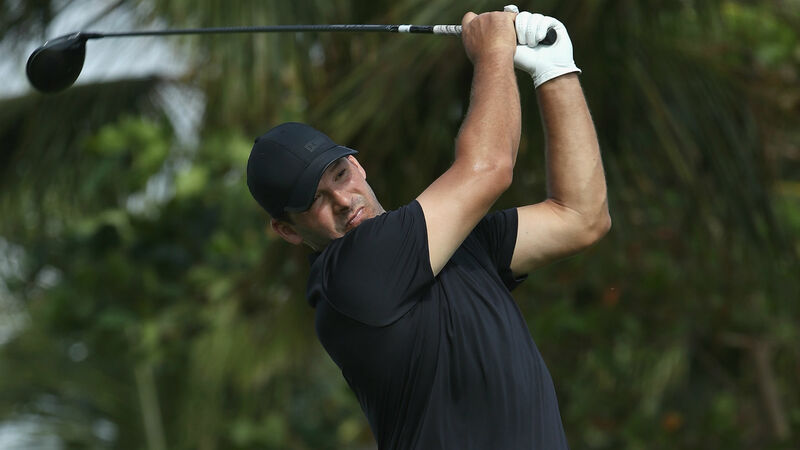 Romo, who had five birdies Sunday, beat Mulder by three points as Romo shot a 68 on Sunday to give him 71 total points through three rounds in a modified scoring system. Mulder won the previous three American Century Championships. Romo, who currently works as an analyst for CBS, turned down the $125,000 check to keep his amateur status. He also won an amateur championship last weekend in Wisconsin by nine strokes. He made his PGA Tour debut in March, but finished in last place at the Corales Puntacana Resort & Club Championship and failed to qualify for the U.S. Open. The full leaderboard for the American Century Championship can be found here.